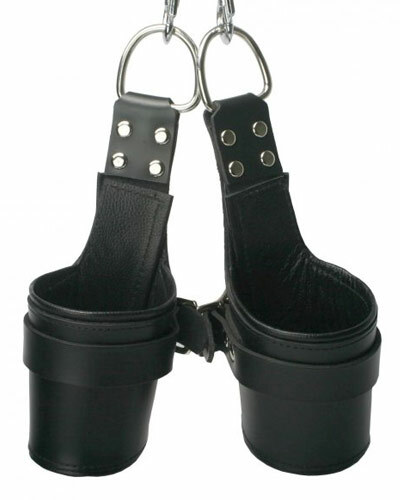 Made from the highest quality, these suspension cuffs are sturdy, comfortable and safe. In times of an emergency or panic, these cuffs come with quick snap adapters which allow you to release the person in a fast safe manner instead of struggling to unbuckle the cuffs. Because of the high quality construction, these cuffs will have a long life and will be able to support the heaviest bottom. Can be used with or without locks.